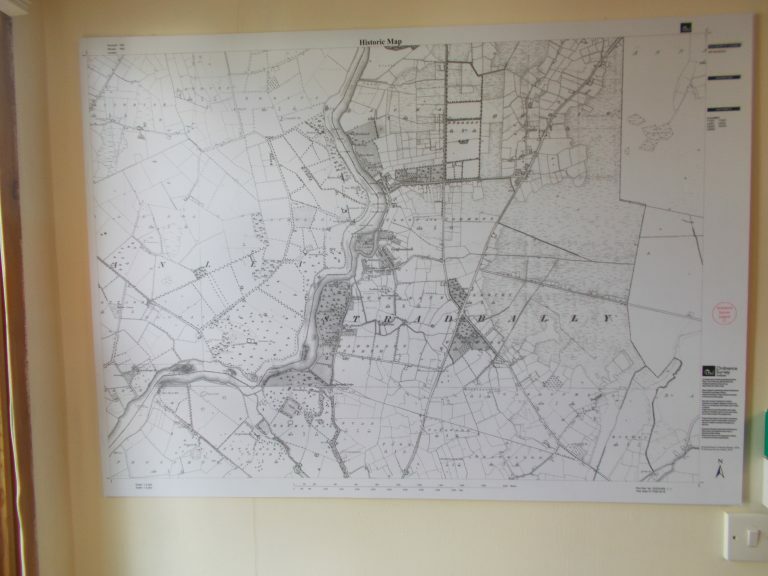 Our picturesque village of Castleconnell, situated on the banks of the River Shannon, is steeped in history. In the 18th and 19th centuries, it was a popular spa resort patronised by the local Ascendancy classes and visiting gentry from overseas. 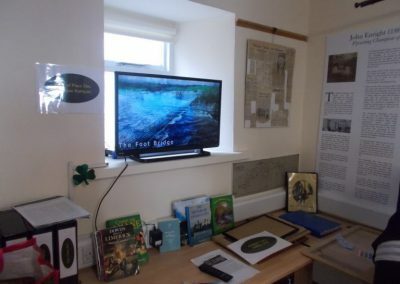 Fine Georgian houses were built with impressive architecture and spacious private grounds which bordered the magnificent scenery and fishing grounds of the Shannon. 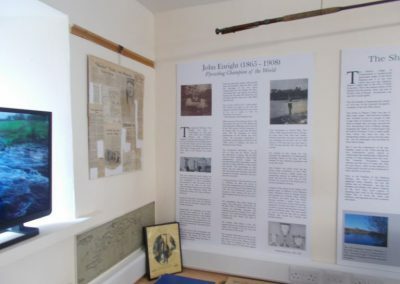 Castleconnell became known far and wide for its salmon fishing, the famous Castleconnell Rod, and John Enright, who became World Fly-Casting Champion in 1906. 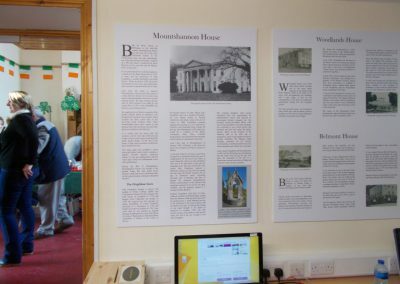 It was always the aim to have a heritage centre in Castleconnell, but it wasn’t until 2011 that a group of individuals got together to make this happen. 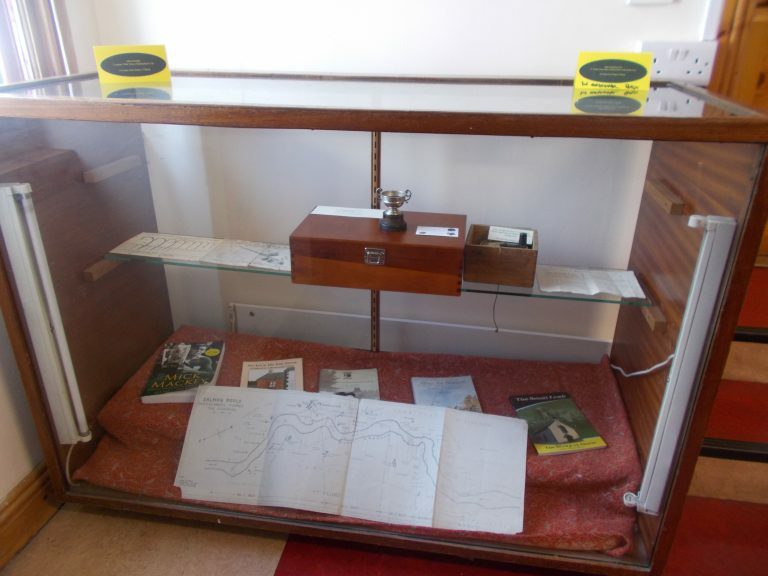 All work was done voluntarily and over the last few years precious historical information was gathered and documents sourced. 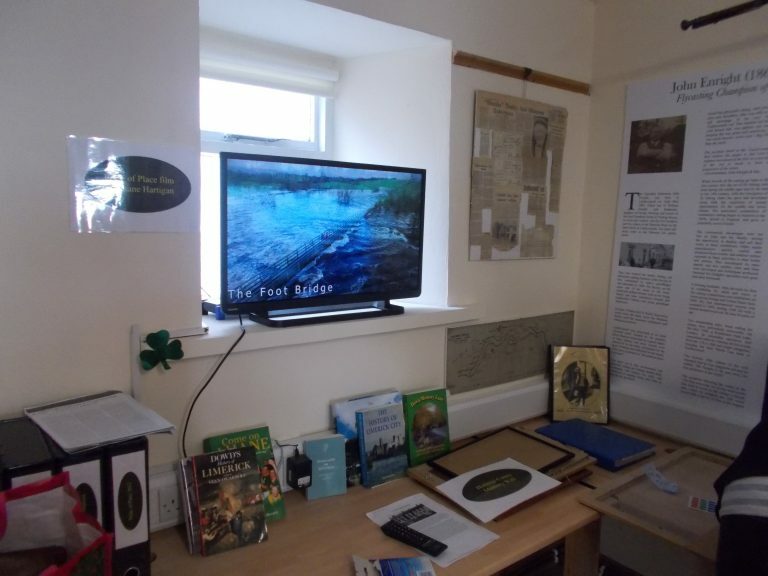 From these endeavours, National success in the All Ireland Pride of Place competition (2012) and the Gathering John Enright festival (2013) was achieved. 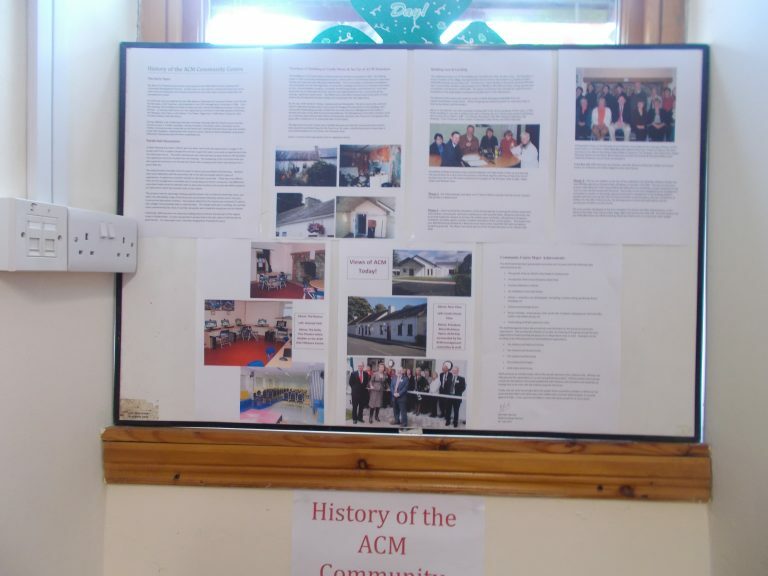 The ACM Community Centre ideally situated in the heart of the village generously made available a room to display this material. 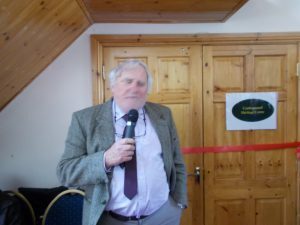 This new Heritage Centre was formally opened by local historian Paddy Tuohy on St Patricks Day 2016. 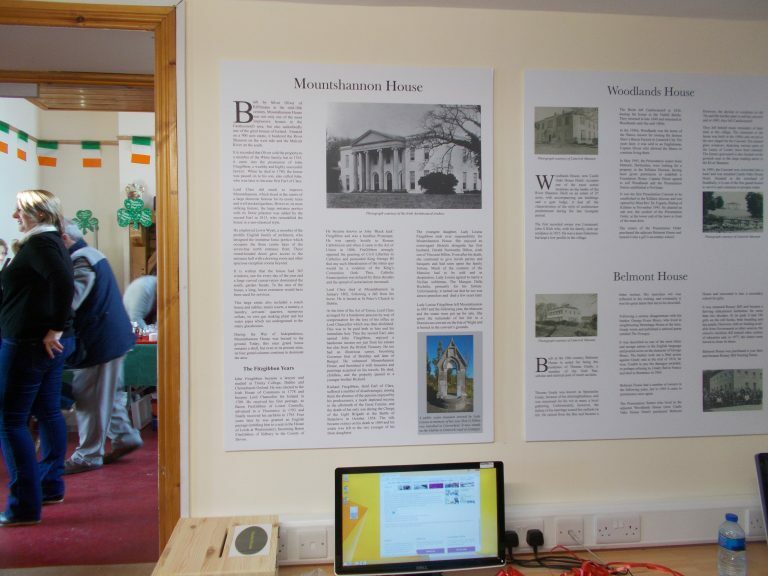 While still in its infancy, with internet enabled computers, it now provides a central location to store and showcase the rich history of the parish for visitors and current and future generations to enjoy. 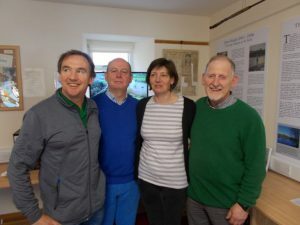 ß – Liaising with local community led development group Ballyhoura to survey, map and record the Stradbally and St Joseph’s Church graveyards to form part of a nationwide resource now available on-line from www.historicgraves.ie. 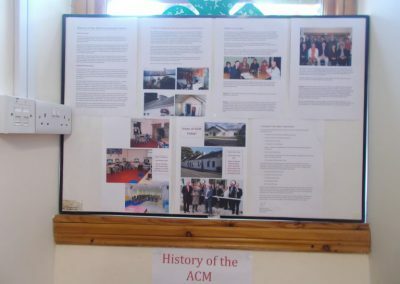 ß – Scanning and indexing St Joseph’s Catholic Church parish records* by way of preserving the information and making it available on-line. 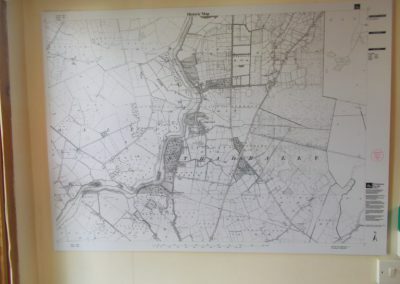 ß – Working with the three local primary schools to similarly scan the registers from Castleconnell, Ahane and Lisnagry National Schools. ß – Indexing the local parish annual An Caislean from its first issue in 1997. 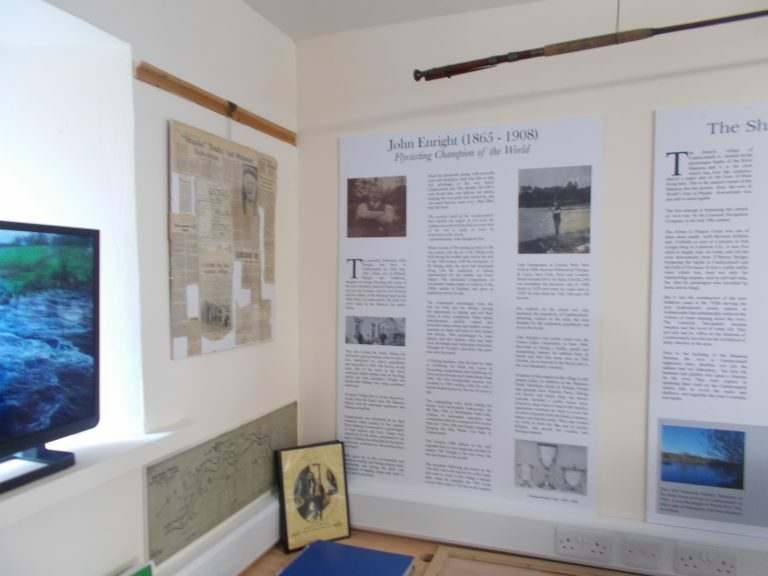 The Heritage Centre is open to the public each day, Monday to Friday 09:00 – 17:00 free of charge. 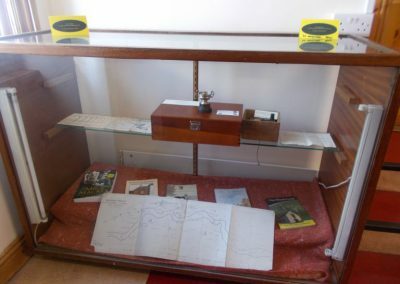 You can also email heritage@castleconnell.ie.